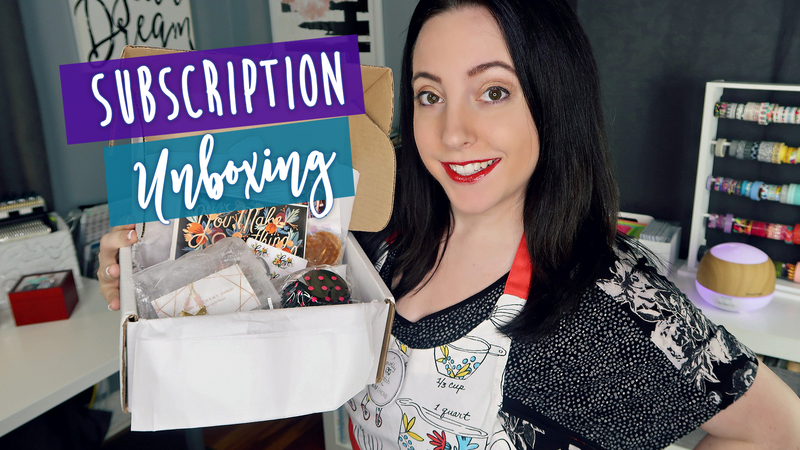 I hope you love subscription boxes as much as I do, because I’ve got SO many fun subscription unboxings coming your way! In this post, I’ll be sharing TWO boxes from Mommy Mailbox from May and June! See what was inside both boxes in this video! What’s Inside the May Box? A yummy Stroopwafel from Gourmet Wedding Gifts – If you don’t know what this is, you MUST try one! It’s like a special, layered cookie with a caramel center. You simply place it over a hot cup of coffee or tea and the caramel melts and creates the most delicious treat! I couldn’t even wait–I ate mine the same day I opened my box and it was AMMMAZING! and a beautiful Hostess Aprin from KAF Home designed by Molly Hatch. I really liked this box! So many fun and pretty things that were a nice treat to get in the mail. The boys have been asking to bake cookies soon, so we’ll put my new apron and the baking cups to great use! I feel like the theme of the box was well executed with a fun variety of items! What’s inside the June box? Visually, all of the items matched in color. However, I found the Scar Gel to be really random. I also opened it after filming the video and found that it had no seal and it was marked as a sample jar. To me, it seemed a bit more of a medical type of product and I didn’t feel it fit the theme Unwind at all. I thought the necklace was pretty, but it wasn’t my style so I’ll be gifting that. I don’t really care for lemon, but my husband loves these, so they’ll be used by him! I really liked the candle holder and will use it for my desk area to hold office accessories (since you guys know I’m obsessed!). I didn’t care for the candle as I prefer scented candles. I will definitely use the makeup blender! So I definitely preferred the May box over the June box. I think like any subscription box, it’s hit or miss. Some you love and others aren’t your favorite. I do like that every month we get to meet a new mom blogger. I also think there’s a nice selection of items. I will be sharing more from Mommy Mailbox very soon, so check back to see what the next boxes have inside! To get your subscription, head over to www.mommymailbox.com. Subscriptions start at $33.95 and ship for FREE the first week of every month! Mommy Mailbox subscription is a fun way to treat yourself or another mom in your life with some fun things every month! Which box was YOUR favorite?